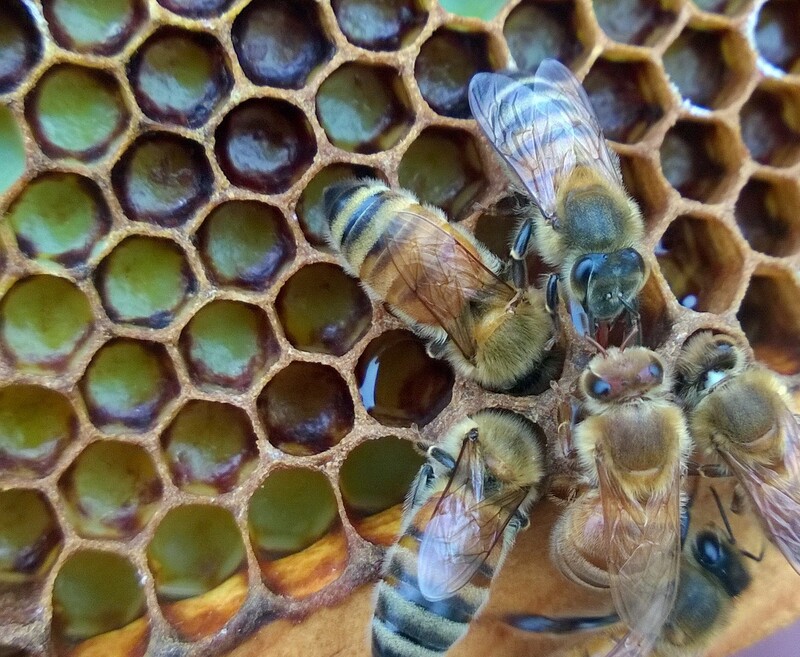 ← Honeybee genetics: how do they work? This question came in from our email. What is the best thing to do when an unidentified bug lands on or is crawling on me? 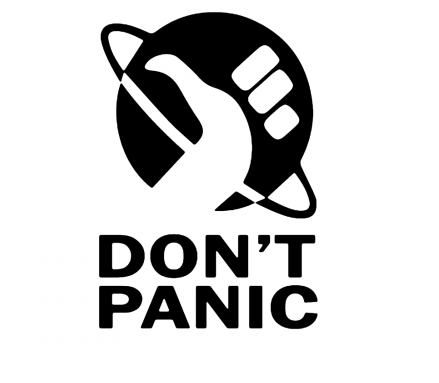 Panic and just Get It Off or stay still? Imagine, you’re sitting outside enjoying your refreshing drink of choice, when suddenly a wasp lands on you. Or some other unknown bug. Now what? The best thing for you to do is relax and be calm. Insects and their allies (spiders, scorpions, etc…) can tell when you’re nervous or agitated. If you start moving around and swatting at them, this will agitate your bug further and could lead to some painful biting or stinging. As hard as it is, just take a deep breath, stay calm, and wait for it to fly or walk away. This synopsis excludes the insects that are landing on you because they’re parasitic. This also excludes extreme situations, like if you run into a hive or disturb a nest of wasps/bees/ants. If you do that, you should definitely get away as quickly as possible. You shouldn’t aggravate a hive, but generally if you leave them alone – they’ll leave you alone. How Can I Tell If It Will Hurt Me? Most bugs can’t cause enough damage to bother you. However, there are angry-looking bugs that can hurt you. If you recognize these, it’s even more important to stay calm. 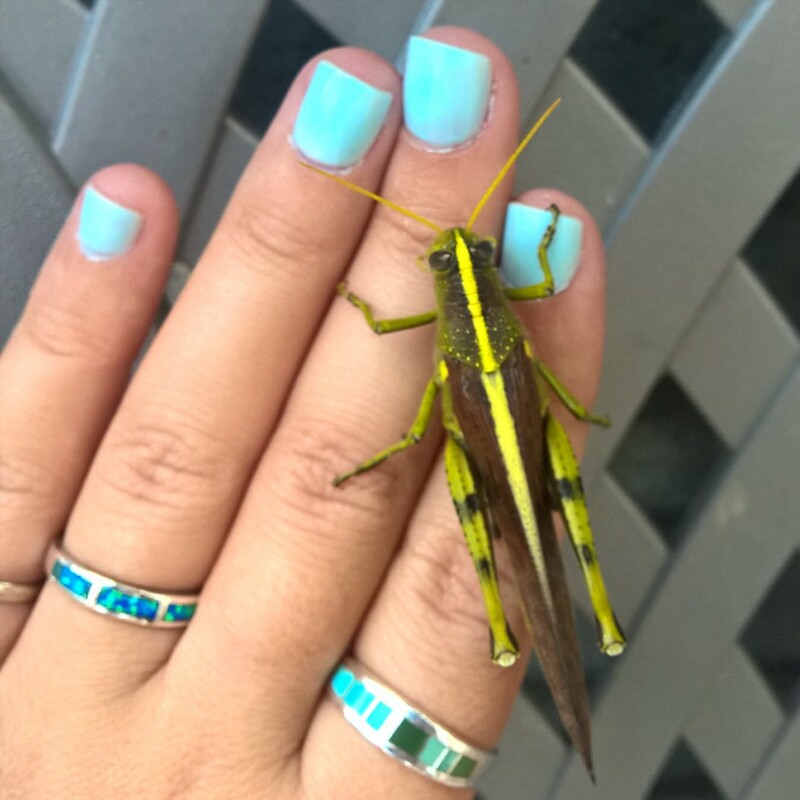 Bugs use warning coloration like black, red, orange, yellow, or some combination of these to warn you that they’re potentially harmful. However, you usually don’t have to worry about the poisonous ones – like millipedes – unless you plan on licking your new-found friend [not advised]. “I release enough hydrogen cyanide to kill a mouse if it ate me. 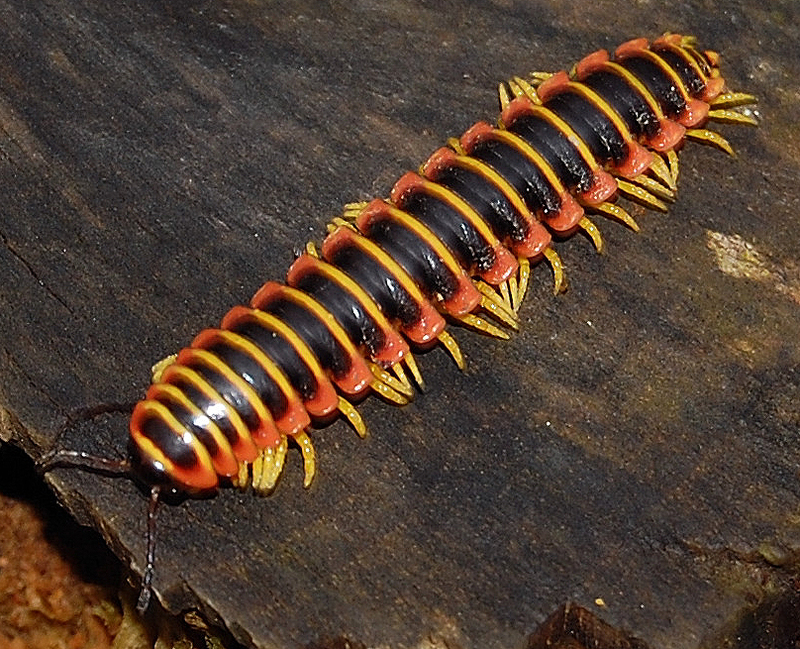 Just don’t lick me and we’ll be best buds!” says the millipede. Generally, you should be worried about bees, wasps, ants, centipedes and spiders. That being said, even some large true bugs – like the wheel bug – can give you a nasty bite. Beetles will give a sharp nip too if you actively chase after and trap them. However, if you want to be extra sure, you can consult this post I wrote earlier. Why Did That Bug Land On Me? Bugs will land on you for several reasons. Lots of flies, like hover flies or house flies, will land on you if you’re sweaty to lap up the salt. Some bees, like sweat bees, do this too. Horse flies will land on you to drink your blood though. You don’t want those. 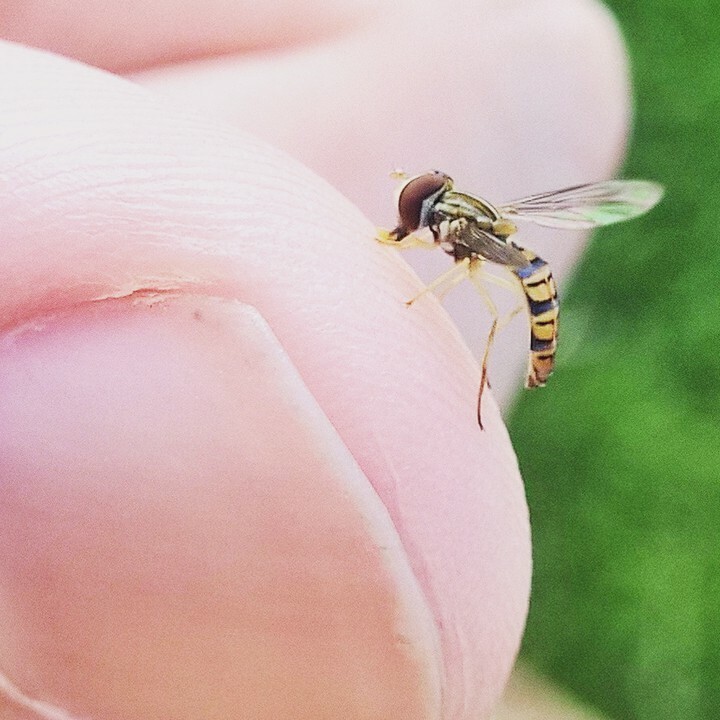 “Just thirsty and want to lap up some salt” says the little hover fly to the large human. Sometimes bees, wasps, and butterflies are attracted to you because you’re wearing bright colors or wearing a nice floral perfume and they think that you might be a flower. “Are you a flower?” says the confused butterfly. Some insects are territorial and will just fly up in your face to check you out. 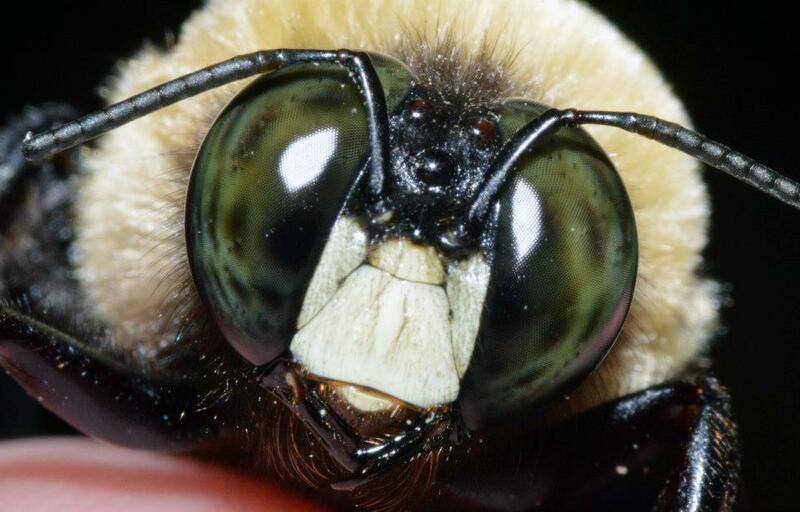 The male carpenter bees in the summer are notorious for doing this. “What are you doing near my house!” says the carpenter bee who hasn’t quite yet realized that you’re *not* a monstrous Godzilla-Bee hybrid. Sometimes if you’re floating downstream, or stay still in or around a pond or lake, damselflies or dragonflies might use you as a perch. “I’m just going to rest here a minute” says the tired dragonfly. Sometimes bugs will land on you just because you’re in the way. Or they don’t realize you’re not the substrate. 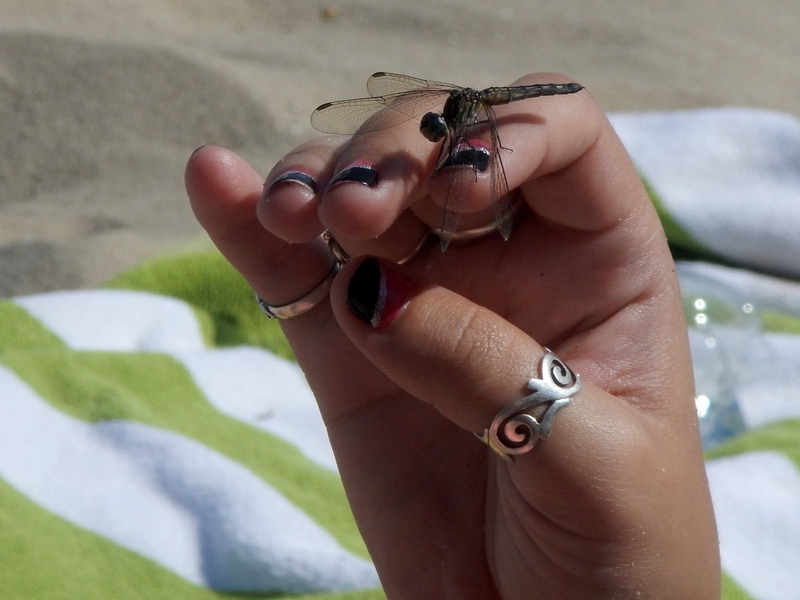 Most bugs that land on you, even if they can inflict damage, won’t as long as you’re calm. Just enjoy the few seconds that nature has graced you with her presence – even if it’s not the present you wanted. 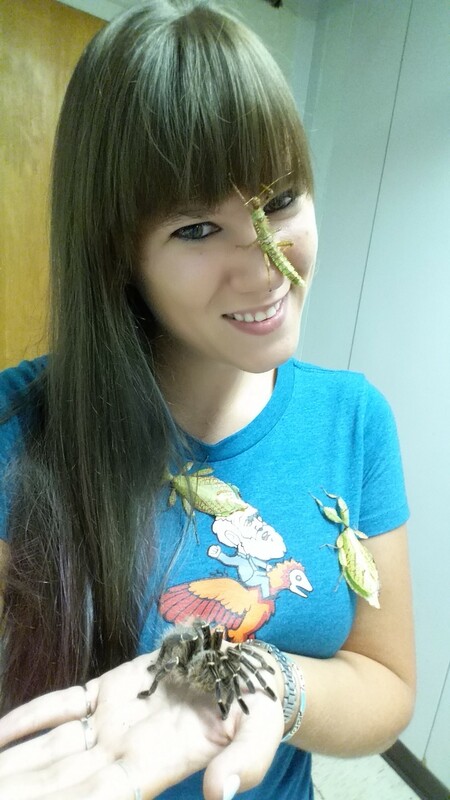 Some of us like holding and touching all the bugs. 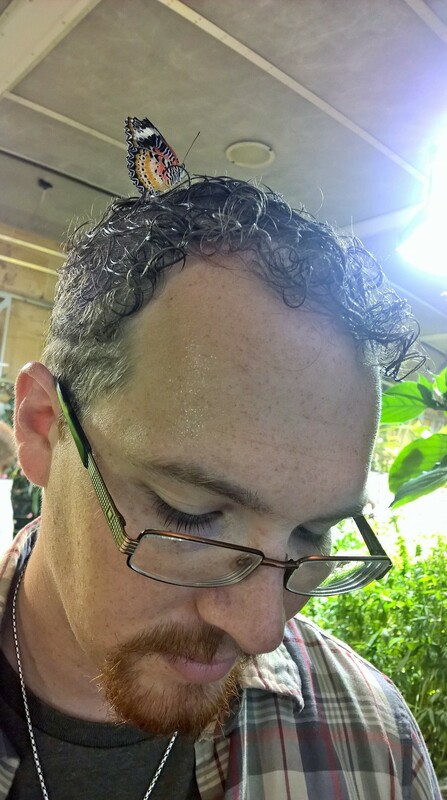 This entry was posted in Behavior and tagged Bug, Insect. Bookmark the permalink. 3 Responses to A Bug Landed On Me. Now What? That’s a really lovely post. Quite calm and definitely amusing. But if I see a mosquito land on me… Didn’t know spiders will bite. I tend to let them eat up the flies and mosqis in the house. Some are very black and big. They are taken outside! Spiders only bite if you harass them. There’s videos of people letting black widows crawl of them with no ill effects. But if you scare them, and they can’t flee, they will bite. It’s very rare though. I thought so. I have a friend who thinks they’ll bite her in bed and I used to say spiders don’t bite!